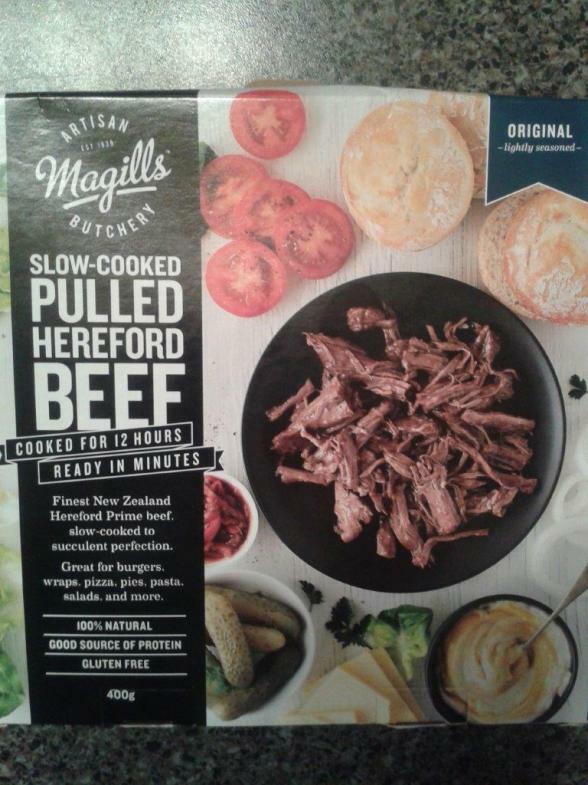 It is with immense pleasure that Hereford Prime NZ can announce that the Slow Cooked Hereford Pulled Beef developed by Magills Artisan Butchery in Te Awamutu has been named a finalist in TWO categories of the 2015 NZ Food Awards. To be named as a finalist in the awards, held in association with Massey University, is a huge feat and none more so than this year, with award entries up 40% on 2014. The awards recognise creativity, food innovation and excellence in our largest export sector. In the “Special Awards” section Magills are finalists in the MPI New Cultivars/Primary Producers Award. In the “Large Manufacturers” section Magills were named finalists in the Food HQ Chilled/Short Shelf Life Award. The awards will provide a lot of exposure for the Magills team and their Slow Cooked Pulled Hereford Beef which proudly wears the Hereford Prime brand. A gala evening at which the winners will be announced is being held in Auckland on September 17th and we wish Magills and their team all the very best for this evening. However, regardless of the outcome at the gala function, their success at being named a finalist in two awards is impressive in its own right and we extend our congratulations to Mike van der Hoeven and the Magills team.